Captain Rex Finsmer, treasure hunter extraordinaire, has survived shipwrecks, hurricanes, and deadly sea creatures. 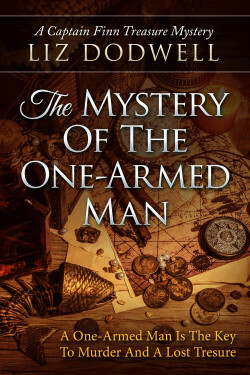 But will a one-armed man be his undoing? A gruesome discovery puts the Captain and his sidekick, Phillida Jane Trent, in danger. And with a three hundred million dollar historical treasure at stake, they need to lower the boom on the killer before anyone else is deep sixed. The problem is, too many people seem to have a stake in the matter, and they’ll stop at nothing to get what they want. Finn has been in desperate situations before, but never as disturbing as the one he’s in now.